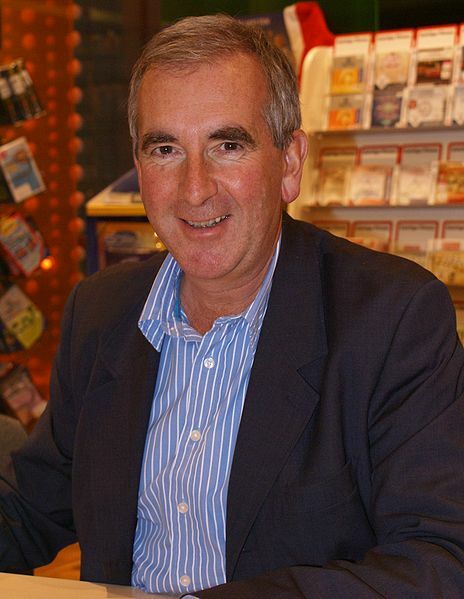 The Ghost, written by Robert Harris, a one-time friend of Tony Blair, features a former British Prime Minister not named Tony Blair. The character, Adam Lang, was a charismatic PM (but not named Tony Blair), was accused of lacking depth (but wasn’t named Tony Blair), and got Britain heavily involved in the War on Terror (but remember, he isn’t Tony Blair). I’m not quite sure whether to refer to The Ghost as a thriller or a satire. It definitely progresses as a thriller – the protagonist, a celebrity ghostwriter, is hired at the last minute to make sure Adam Lang’s forthcoming memoirs are completed in time for the deadline. The story follows his progress as he tries to learn more about Lang, to understand the psychology behind the former Prime Minister. But there are elements that read as satire – particularly the descriptions of Lang, his wife Ruth, and some of their actions. Their characters are not totally satirical, there’s quite a lot in Lang, in particular, to like as a man. It does feel like Harris is making an angry dig at a former friend, but displaying a complicated man, warts and all. Satire is often described as ‘biting’ – the idea being that it’s vicious, and genuinely unpleasant to those being attacked. But more often than not it ends up being slobbering – wet and sloppy, more likely to amuse the target than hurt them. 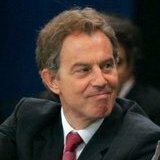 Comparing The Ghost to The Trial of Tony Blair, the 2007 Channel 4 programme staring Robert Lindsay in the title role, the former is much more believable as reality, and the extreme elements carry more weight as a result. There’s a quote I like, that fiction is a lie that allows us to see a deeper truth. The idea behind it is that, while the events within the story never actually occured, and. for the most part, the characters within never actually lived, the story allows for insights into people of a certain type, or humanity in general. One element of the novel that I found hard to buy was the international politics subplot ticking away in the background would progress so fast. From my perspective this moves a lot faster than these things move in real life. Having said that, there is an event in an early chapter that suggests the world of The Ghost is a slightly more dangerous one than our own. There is a ‘big reveal’ in the final quarter of the novel that I knew going in, so that spoiled the tension for me, but there was still plenty of it there. The Ghost excels as a thriller and a satire. It’s fast-paced and funny. As well as the action it’s an interesting look at the character of Adam Lang – how he’d convinced people to follow him, how he copes with being out of power and so on. It’s a good read – probably would have been better if I wasn’t aware of the twist before reading. You may have seen the coverage around the time the film came out, there was a bit of press about the fact the big names (Ewan MacGregor and Pierce Brosnan among them) were willing to work with Roman Polanski, despite him still being a wanted man in America.